I remember mom telling me of the last hours of my Grandfather’s passing many years back. She told me that he told her Angles had come and how beautiful it was. That they told him to take his time… that when he was ready, they would take him. With Steve’s last words being as they were… he must have had a beautiful passing too. Just like my Grandfather. I can only pray that when my time comes, it will be as beautiful as theirs. Over 30 rockets and mortars were fired from the Gaza Strip at Israeli communities over the past day. Rockets and mortars struck Ashdod (population of over 200,000), Ashkelon (population of 113,000), Gan Yavne (population of 19,000) and the Eshkol Regional Council, killing one person and injuring approximately 20, most suffering from shock. Several buildings, including a school, were damaged in the attacks. A hit was confirmed, and the rocket launch attempt was thwarted. 15:15 - A short while ago, an IAF aircraft targeted a terrorist squad in the southern Gaza Strip that was preparing to fire rockets at Israel. 14:02 - IDF Spokesperson, Brig. Gen. Yoav (Poly) Mordechai told IDF Website that "the IDF is not waiting for any decision by Islamic Jihad. The chief of staff ordered the IDF to prepare for a number of responses which were approved by the government. During the day, the chief of staff updated the defensive deployments on the ground and in the air and he approved a number of operational responses which sharpened the IDF's response. There are plans for targeted strikes on terrorist infrastructure - and more. Until now, the IDF has targeted the weapons production and firing capabilities of Islamic Jihad, including an official in the group who was responsible for these matters." 13:00 - Defense Minister, Ehud Barak completed a situation assessment meeting with the Deputy Chief of the General Staff, Maj. Gen. Yair Naveh and other security and intelligence officials. During the meeting Barak was presented with further operational plans in Gaza. "We will do anything to defend Israeli civilians. I advise the Hamas and Islamic Jihad terrorist organizations not to test or capabilities," he said. 11:00 - Home Front Command Chief, Maj. Gen. Ido Eizenberg, visited the region hit by the Gaza rockets in the city of Ashdod and spoke with the people living there. Maj. Gen. Eizenberg said that "the Home Front Command instructions save lives, we send out warning before every rocket hits." 08:45 - The Chief of the General Staff, Lt. Gen. Benny Gantz is holding a situation assessment at the Southern Command operations room controlling the IDF's response to the escalation of violence in the south. 08:00 - IDF Spokesperson, Brig. Gen. Yoav (Polly) Mordechai said to the IDF that "the Chief of Staff completed a situation assessment after midnight and concluded that the IDF is preparing for a fierce response based on several levels of operations. We will examine the developments based on facts in the field and not any declarations. The IDF is prepared both in terms of defense and offense in order to defend communities in the south." 07:04 - The Iron Dome anti-missile system successfully intercepted two rockets fired from Gaza at Israeli communities in the south. 05:20 - 13 people lightly injured from the rocket fire were brought to the Barzilai health center, 10 were released to their homes and three are still in emergency care. 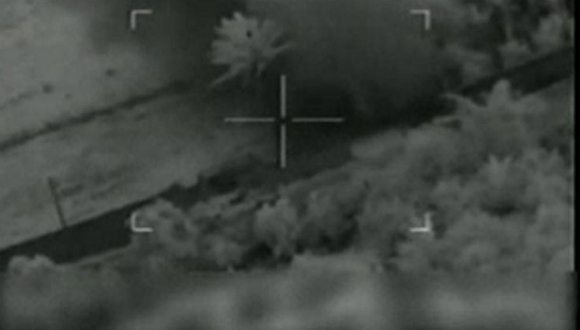 04:34 - Overnight, IAF aircraft targeted six terror activity sites in the Gaza Strip. Three rocket-launching sites and one terror tunnel were targeted in the northern Gaza Strip, and in the southern Gaza Strip two terror activity sites were targeted. Both Direct and secondary explosions were reported. 23:35 - IDF Spokesperson Brig Gen. Yoav (Polly) Mordechai assessed that the Islamic Jihad was severely hurt from the IDF's attacks in response to the rocket fire. Brig. Gen. Mordechai said, "The attacks killed ten terrorists including Sheikh Ahmed Halili an elite Jihad member, and injured more. Overnight we will carry out additional operations. The Hamas terrorist organization has not responded so far and we will examine to what extent it is attempting to thwart this round, as the ruling body in the Gaza Strip." 22:50 - IAF aircraft targeted a terrorist squad in the northern Gaza strip that was preparing to launch rockets at Israeli communities. Additionally IAF aircraft targeted two armed rocket launchers in the southern Gaza Strip. Hits were confirmed. 22:15 - IAF aircraft target a terrorist preparing to launch rockets at Israel in the southern Gaza Strip. Hits were confirmed. 22:10 - IAF aircraft target terrorist squad responsible for firing rockets at communities in southern Israel. Hits were confirmed. 20:40 - The Chief of the General Staff, Lt. Gen. Benny Gantz held a situation assessment in response to the renewed rocket fire from Gaza. The assessment was held with the operational general staff including representatives from the Intelligence Corps, the Southern Command, the Home Front Command, the IAF and the Operations Directorate. 14:15 - In a joint IDF and the Israel Security Agency, IAF aircraft attacked a cell of terrorists preparing to fire long-range rockets from the southern Gaza Strip. This same terrorist cell was responsible for the rockets fired at the Be'er Tuvia Regional Council last Wednesday. Hits were confirmed and the launching attempt was thwarted. The Home Front Command instructed the civilians to enter safe rooms for at least ten minutes when an alarm sounds. Additionally, any gathering of over 500 in southern Israel is to be cancelled. Further instructions including school system operation are forthcoming. The IDF will not tolerate any attempt to harm Israeli civilians and IDF soldiers, and will continue to operate with strength and determination against anyone who uses terror against the State of Israel. The Hamas terror organization is solely responsible for any terrorist activity emanating from the Gaza Strip. They died [Saturday] October 22nd, in Kandahar province, Afghanistan, of wounds suffered when enemy forces attacked their unit with an improvised explosive device. - 1st. Lt. Ashley I. White, 24, of Alliance, Ohio, assigned to 230th Brigade Support Battalion, 30th Heavy Brigade Combat Team, North Carolina National Guard, Goldsboro, N.C.
Pfc. Christopher A. 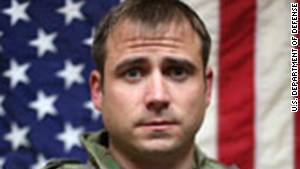 Horns, 20, of Colorado Springs, Colo., both assigned to 2nd Battalion, 75th Ranger Regiment, Joint Base Lewis-McChord, Wash. This CNN story above breaks my heart and I still do not know why our Military Heads will let our brave men and women go back on deployment, into the heat of Battle, over and over… so many times! 5- 6 Deployments is too many… But FOURTEEN!!! Here’s how I believe it all went down today on the Killing of Moammar Gadhafi. YES… A United States Armed Predator Drone alone with a French Jet… attacked what has been reported to have been an 80 car plus convoy in which Gadhafi was riding in. In the video you hopefully clicked out above… you might have noticed that many of the Rebels had no shoes on. Well… that is because some had taken their shoes off and were beating the crap out of Gadhafi with them. 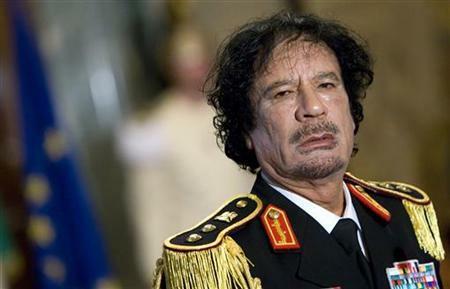 Then sometime during all of this mob beating… one of the rebels took it on himself to shoot Gadhafi in the head. I figured he must have missed his target the first shot, hitting Gadhafi in his shoulder… but target on with the second shot, hitting Gadhafi dead square to the head, killing him instantly. And that in a nutshell is the way the Killing of Moammar Gadhafi went down today. 30 Photos in above link, some are very graphic! Lots of Photos in above link and as in the rest of the photos in this post… some are VERY Graphic! After watching last night’s debate in Las Vegas, Sarah Palin confirmed what we have been telling you all week. 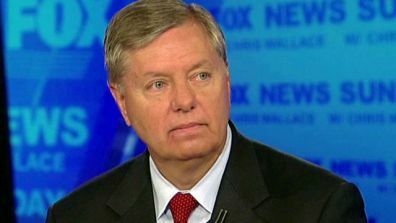 Providing analysis on the show On The Record with Greta Van Sustern, Governor Palin offered a lot of praise for Speaker Gingrich saying, “I think we are more interested in substance and that’s why, like tonight, Newt Gingrich again, I think, did the best because he seems to be above a lot of the bickering that goes on. On the prospect of a Gingrich-Obama debate, Palin said that Newt would “CLOBBER Barack Obama in any debate!” The team here at Newt 2012 couldn’t agree more! 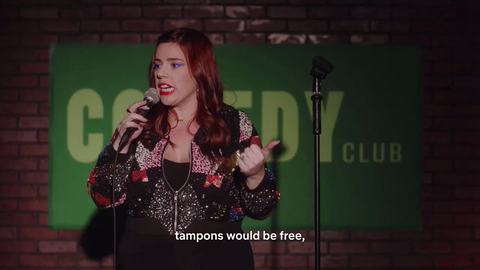 First, please take a moment to watch the video now. Second, if you think that Newt is the best qualified and most intelligent candidate, you can help us spread this video by making a generous contribution today. The entire team at Newt 2012 is very proud of this new video, and we're incredibly grateful for your support in spreading it far and wide. 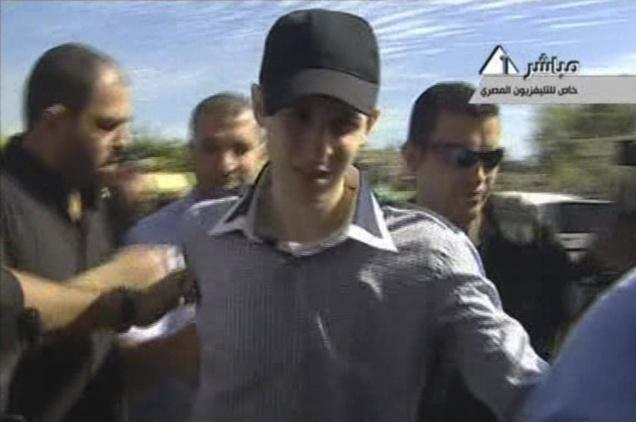 In this image grab from Egypt TV, Tuesday, October 18, 2011… Israeli soldier Gilad Schalit is seen at an undisclosed location in the Gaza- Egypt border area accompanied by Hamas guards as he is moved into Egypt from captivity in Gaza. This was the beginnings of an elaborate prisoner swap today in which hundreds of Palestinian inmates were freed in return for the captured Israeli tank crewman. It just killed my heart when I first saw him, early this Tuesday morning. (Sadly, it reminded me of the terrible days of past, way back in the 40s.) Then I was overrun with joy and anger, all at the same time. 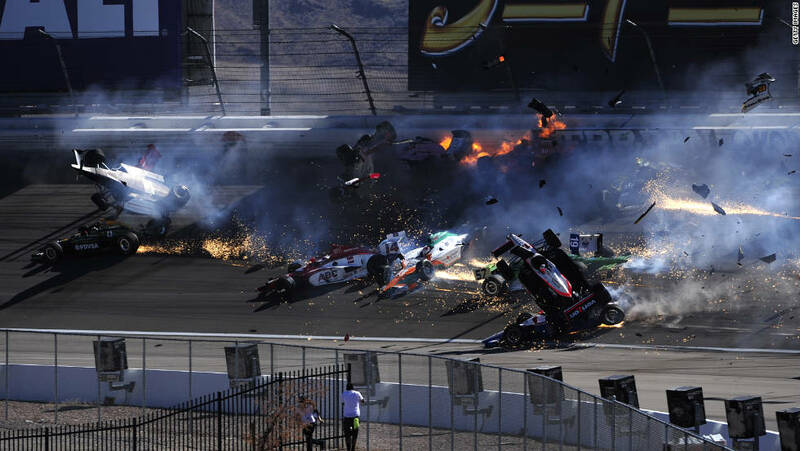 Indianapolis 500 winner Dan Wheldon died Sunday after his car became ensnared in a fiery 15-car pileup… flew over another vehicle and landed in a catch fence at Las Vegas Motor Speedway. Witnesses say it was one of the worst they have seen. About this Video: Replay of what we all feared… a 15 car pileup with cars flying and flipping and bursting into flam in this 2011 IndyCar World Championships in Las Vegas. Sunday’s major wreck and death of racecar driver Dan Wheldon made for a very tragic day for all us racing fans, worldwide. May god bless the Wheldon family… along with all their friends, and loved ones. 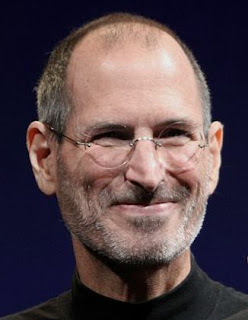 A great driver has sadly been taken from us… and all so early in his life and career.